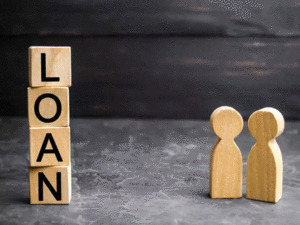 MUMBAI: Retail loan securitisation volume increased over two-folds to Rs.1.9 lakh crore in FY19 from Rs.85000 crore in FY18 as per a report from CRISILNSE 0.91 % with most of the loans being sold by NBFCs in the second half of the last fiscal. NBFCs and Housing Finance Companies (HFCs) resorted to selling their securitised assets to banks and mortgage companies to raise capital after costs of raising funds increased post September IL&FS defaults. Sitaraman said that while credit costs have come down since the September-December quarter, the overall costs are still higher and the NBFCs may still use route to raise funds but the volume may subside next year on an YoY comparative basis. The Reserve Bank of India’s announcement yesterday to create a committee to strengthen the securitisation for housing finance companies may also see the industry adoption of this instrument to raise funds, he said. “Securitisation is a good source for funding as the asset quality is stable and helps the companies manage their Asset-Liability Management (ALM) better,” said Sitaraman. NBFCs have often opted to raise money through debt issuances and riskier commercial papers since the September liquidity crunch. “Securitisation transaction leads to the asset going out of the book of the seller but they continue to retain a part of the earning. This has a positive impact on the Return on Asset and also improves the Capital Adequacy Ratio,” said Vinod Kumar Panicker, CFO, Muthoot Capital. The vehicle finance NBFC has raised Rs.837 crore from securitisation in FY19. Factors such as clarity on GST redemption for securitised assets and RBI’s circular on easing norms on selling of securitised also had a bearing on the surge of volume, CRISIL said. “Three asset classes – mortgages, vehicle loans and microfinance loans constituted 84% of the securitisation volume,” the report said.